Forbes has named George Clooney the highest-ever earner in acting. His wealth surged after his share of the $700m sale of his tequila company, Casamigos, to the British liquor company, Diageo. 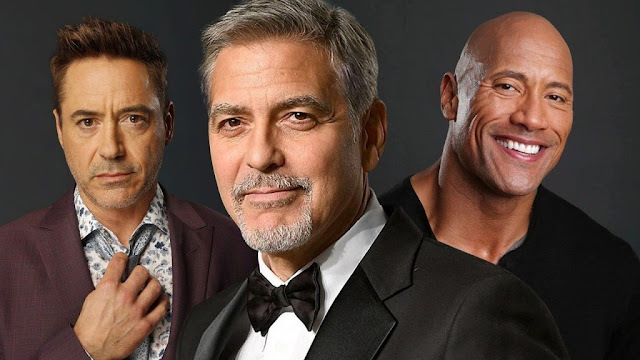 Clooney took home an industry-leading pre-tax paycheck of $239m in the calendar year between June 1, 2017 and June 1, 2018. The 57-year-old told Good Morning America: “We never planned on starting a tequila company. You know, we made Casamigos just for us to drink. “Once we did launch the company, we thought, ‘Hey, if we could sell a bottle or two, great. If not, at least we still get to drink our own tequila’. “So, four years later when we were offered a billion dollars to sell the company, yeah, we were kind of shocked”. Similarly, Scarlett Johansson, known for her role in the Avengers film as the Black Widow, has become the highest paid actress with $40.5m.